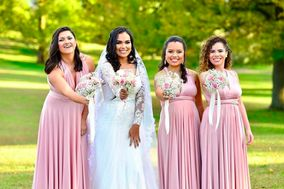 Wedding hair stylists and wedding makeup artists will help you look and feel your best on your big day, whether you want to look fresh and natural or totally glam. 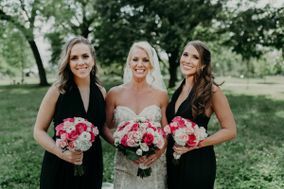 It’s a good idea to hire professional wedding hair stylists and wedding makeup artists to ensure that your hair and makeup stay put whether you’re posing for photos or dancing the night away. Wedding Hairstyles are something that could be talked about forever. 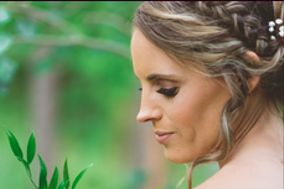 With so many options, varieties, and personal choices, picking the perfect hairstyle for your wedding day is not always as simple as some may think. 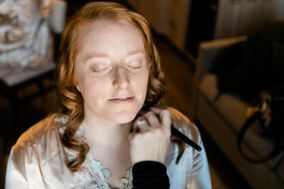 If you're looking for some wedding hair and wedding makeup inspirations, check out our wedding hair and makeup articles! 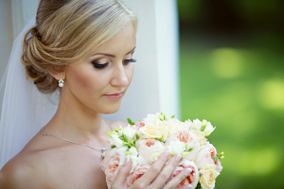 These articles and quizzes provide a great deal of information about picking the best wedding hairstyle for your big day. 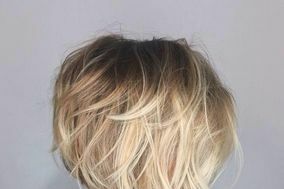 Here are a few basic things to consider when looking for inspiration before seeking a professional stylist. What kind of hair do you have? 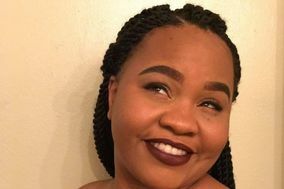 This may seem like a silly question but people often fall in love with a hairstyle on another person with completely different hair texture, length, density, or color. For instance, if you have short hair, you may not be able to have an extravagant up-do. What kind of dress do you have? You want your hairstyle to compliment your dress, though there aren't necessarily specific rules to follow when pairing your dress and hair. That being said, we do have a few suggestions of winning combinations that are sure to flatter. 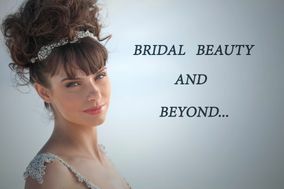 You can check out bridal hair and neckline ideas! A few suggestions would be a tousled side pony to go with a sweetheart neckline or a high textured bun to go with your halter neckline. The possibilities are endless. 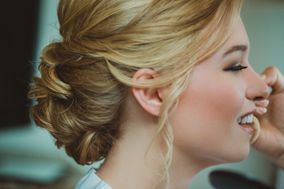 You can also take one of our wedding hairstyle quizzes to find out the best hairstyle for you based on personal preference of dress, venue, and accessories. How do you like to wear your hair? 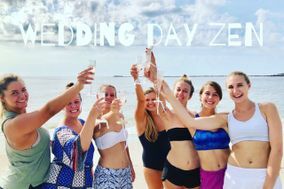 Another seemingly silly question, but your wedding is your special day and you should feel beautiful. 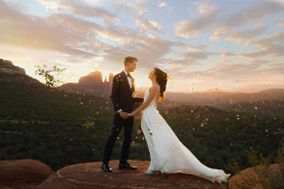 Some brides go to a professional with too many inspiration options or want something that can't be attained to look exactly like what they had in mind. And don't take too many people's thoughts into consideration. Find someone in your life who has a similar style and get their opinion. Just like any other aspect of wedding planning, too many people's opinions can feel overwhelming. As Christian Siriano told us at spring bridal fashion week in NYC, "too many cooks in the kitchen, get out". When it comes down to it, your wedding is your day. 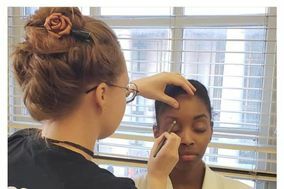 The decisions you make, even about hair and makeup, should be ones that you're confident with. Some last pieces of advice from professionals: have only about 3-5 pictures for inspiration, this gives the stylist room to add their own creativity; be open to suggestions, we all want to look like our favorite celebrity on the red carpet, but that is not necessarily possible. 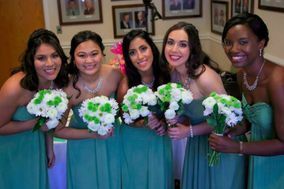 Hairstylists know what they are doing and will be able to make you feel amazing on your special day. 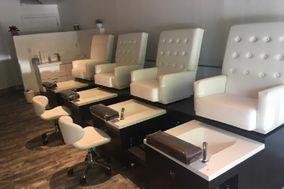 If you're the kind of bride that doesn't often go to the salon, doesn't have a favorite stylist, or is getting married out of town, we have the perfect solution with thousands of stylists across the country. Just enter your wedding destination, scan through the results, and read some reviews from real couples about their vendor experience.